They can be dry affairs, endured rather than enjoyed, and this one was dragged out far longer than necessary by AGM regular Phil B’s desire to talk at length, usually in opposition, on every motion. In fact Phil was on his feet inside the first minute of the meeting with a point of order! Item 8 on the Agenda was of particular interest to us, something Council welcomed “as a further opportunity for CTC to increase access to cycling and show its commitment to equality of opportunity.” We look forward to see how this manifests itself. 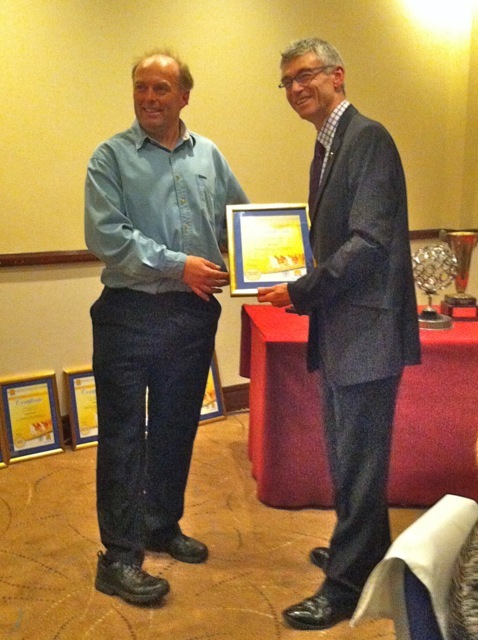 However, the real reason we were there was to see our treasurer Jim Bush receive the Volunteer of the Year award for the London region for his work in Croyden. And the added bonus on the night of him coming third to Sara Olof from Somerset and Andrew Abbess from Stirling for the National Volunteer of the Year. Caroline was there of course – it’s her home town – but she was unable to come out on one of the rides the next morning. 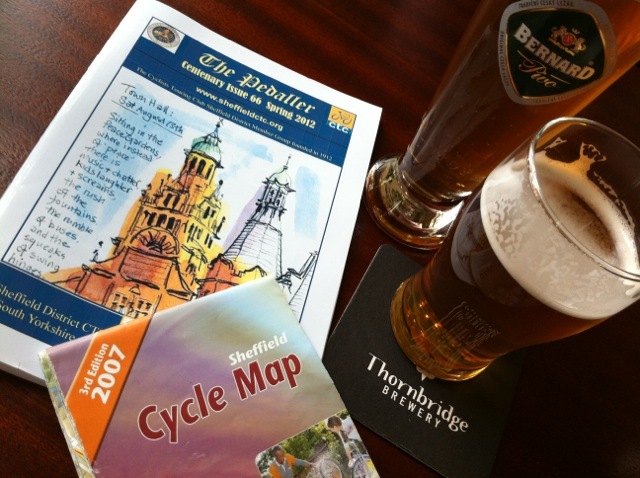 We eschewed the audax into the peak district, the moderate ride to Hathersage and the infrastructure ride around Sheffield for something of a rarity in the city of seven hills – a flat ride! The family ride followed the River Don to Meadowhall Centre, or Meadowhell as it’s referred to locally. We passed the enormous site of Sheffield Forgemasters, the foundry that manufactured the 1000mm barrels for the Iraqi supergun back in the late 80s. A nice route for the most part. Even coffee and cake outside the shopping centre was quite pleasant being next to the river.